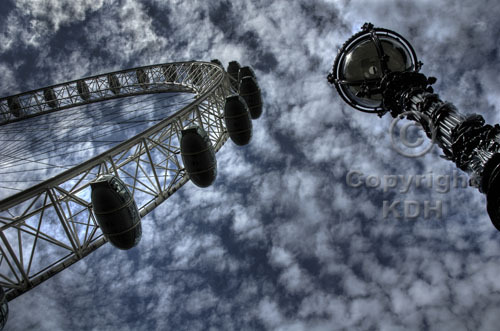 Kevin D Harvey Images: London Eye and Lamp post. Book: Ska At The Leas 2014. Images of London, just as it says on the tin! Please click on thumbnails to enlarge the images. London Eye and Lamp post. The London Eye is instantly recogniseable so the trick is to find an original slant on the location. This nearby embankment lamp was just the ticket. Camera used: Nikon D70.